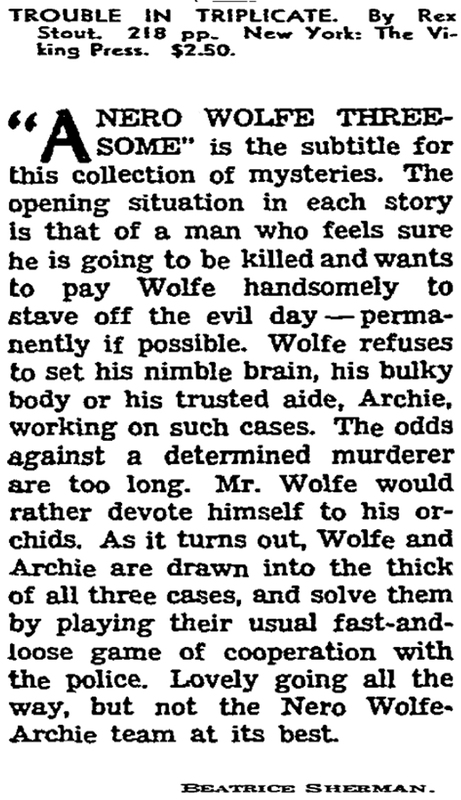 from "Criminals at Large," by Beatrice Sherman, New York Times, February 27, 1949. 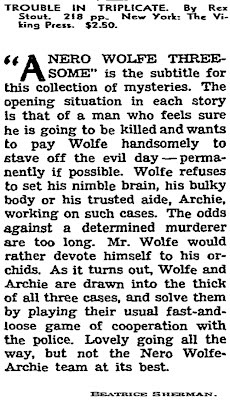 "As it turns out, Wolfe and Archie are drawn into the thick of all three cases, and solve them by playing their usual fast-and-loose game of cooperation with the police. Lovely going all the way, but not the Nero Wolfe-Archie team at its best."